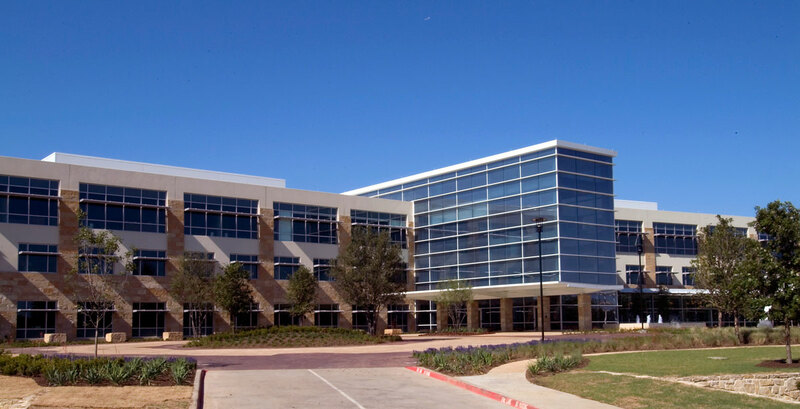 When executives at engineering and construction giant Fluor Corp decided to build a new global corporate headquarters in Irving, Texas, last year, meeting a tight construction deadline was of the utmost importance. 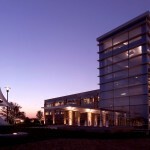 Design plans for the 140,000-square-foot, three-story, dual-wing corporate building were begun in mid-June 2005, with ground-breaking in late July. 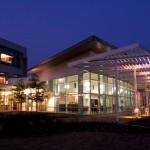 Just eight months later, construction was completed. Similar projects, according to Fluor, usually require a 16-month timeline to complete. 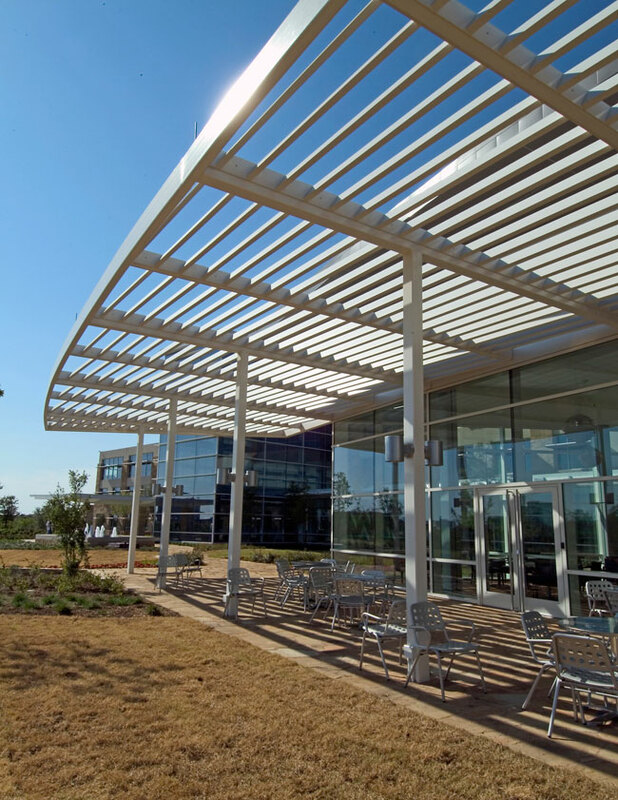 Contributing to this impressive construction timeline was the selection of Alucobond® aluminum composite material (ACM) by 3A Composites USA for a brand-new application – custom sunscreen louvers. 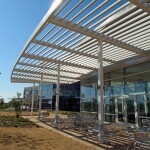 Not only were these energy-saving sunscreen louvers designed, fabricated and delivered for installation in a much more timely fashion than pre-manufactured sunscreens, they contributed to this project’s submission for certification by the U.S. Green Building Council’s Leadership in Energy and Environmental Design (LEED) Green Building Rating System. 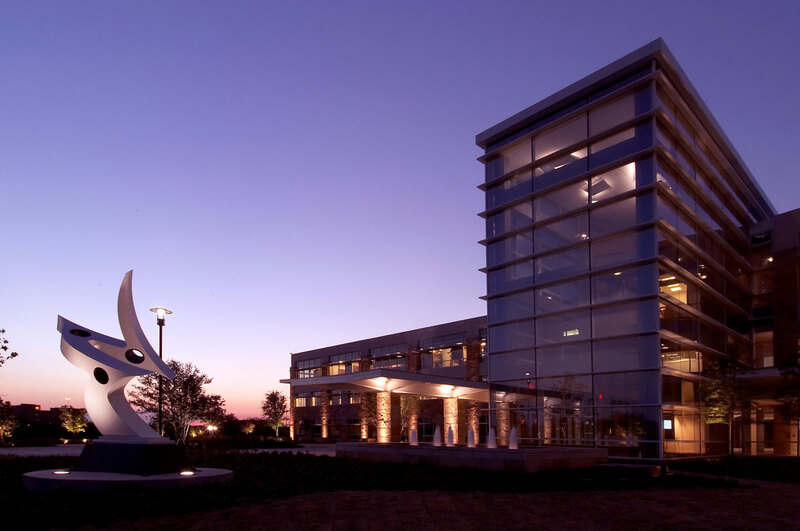 St. Louis-headquartered Clayco, Inc., served as general contractor for this design-build project in conjunction with its architectural firm Forum Studio, Inc., which handled shell and core design. 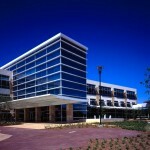 A tilt-wall design was used to construct the new Fluor headquarters, with windows added to give the building an open feel, according to DeWitt Porter, vice president, operations, Fluor Corp. 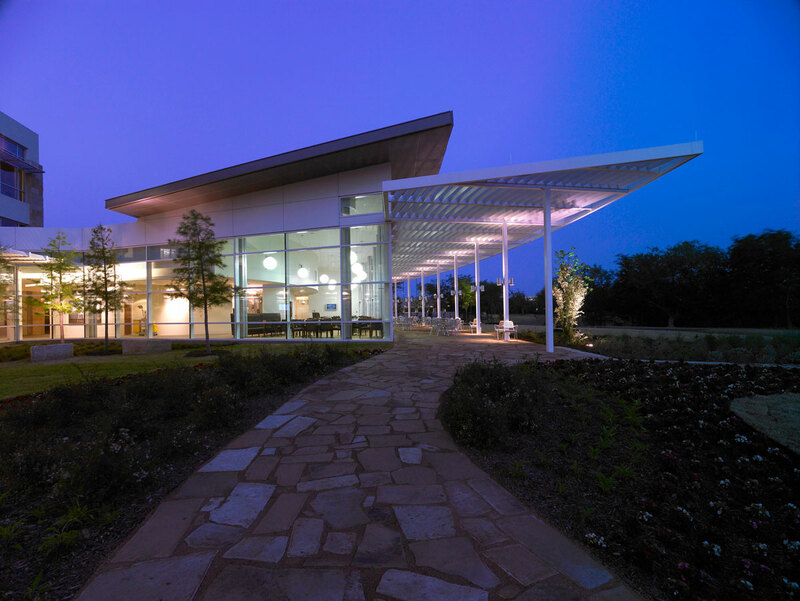 In addition to the campus feel, Fluor executives required a building design that would not only reflect the company’s values but establish a presence in Irving that displayed Fluor’s commitment to the Dallas region, according to McOlgan. 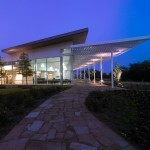 “The building needed to be contextual and responsive to the Texas environment,” he said. 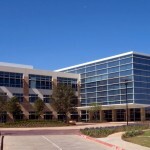 According to www.weatherbase.com, during the past 30 years, the average high temperature in Irving, Texas, in July reached 96.8 degrees. The average high in June reached 92.1 degrees, and it reached 96.3 degrees in August. 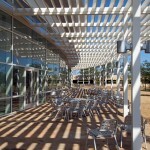 The sunscreen louvers were designed to shade the building’s glass-lined dining area and an image-lined history walkway. 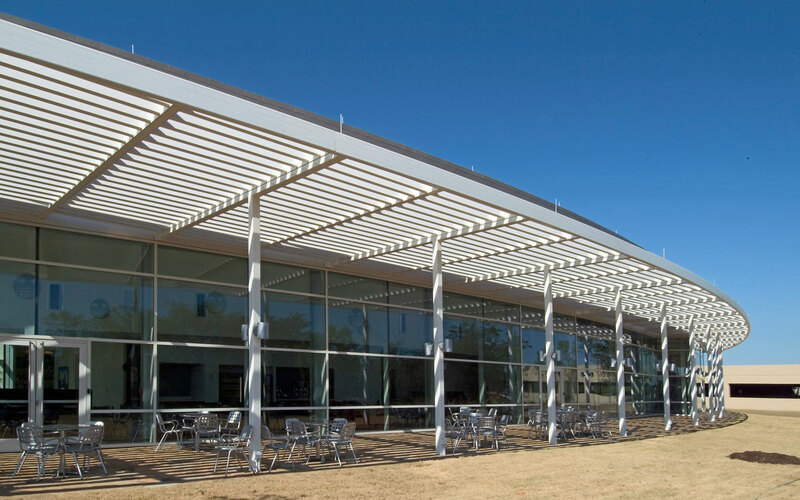 “With the dining area having an all-glass wall system and southern exposure, the shading device is critical in reducing heat load and lowering demand on the cooling system,” said McOlgan. 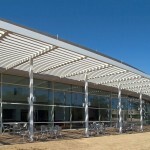 Alucobond is an aluminum composite material that consists of two sheets of .02” aluminum thermobonded to a plastic core. 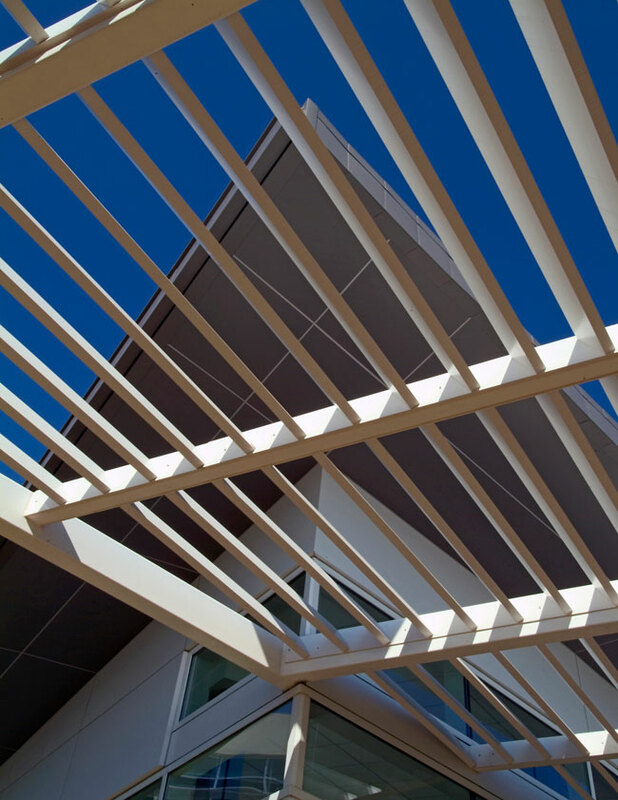 Alucobond provides extraordinary flatness and rigidity, excellent formability, low weight and outstanding weather resistance. 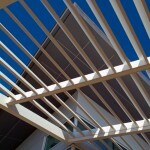 The sunscreen louvers were fabricated from 10,000 square feet of 4 mm thick Alucobond in the bone white color. 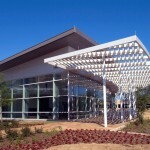 The sunscreen fins were fabricated from Alucobond with the inside rails fabricated from 3-inch aluminum and painted to match. Stainless steel fasteners were used as attachments. 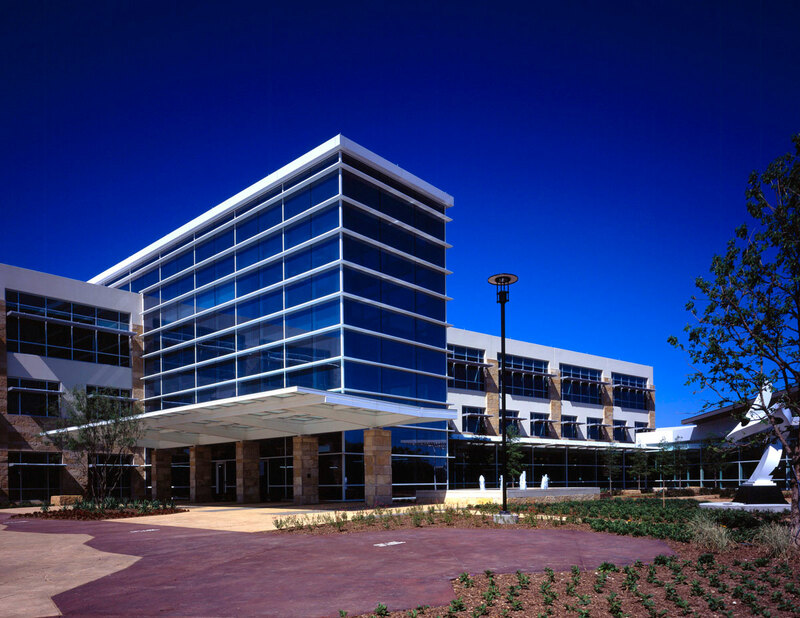 Well into sunscreen fabrication, NOW Specialties found itself short five panels of Alucobond in the 62-inch by 196-inch sheet size. 3A Composites provided the needed sheets one week later. “We didn’t think there was any way that 3A could turn the material that fast,” said Jennings. 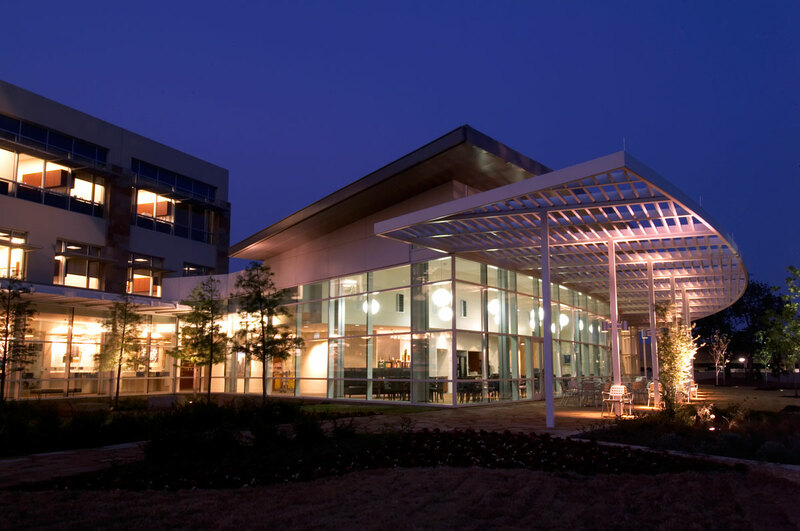 “We had potential liquid damages that were staggering – thousands of dollars per day for not meeting the construction schedule – so we approached 3A about the turnaround time,” said Trevor Ryor, project manager, Clayco, Inc. 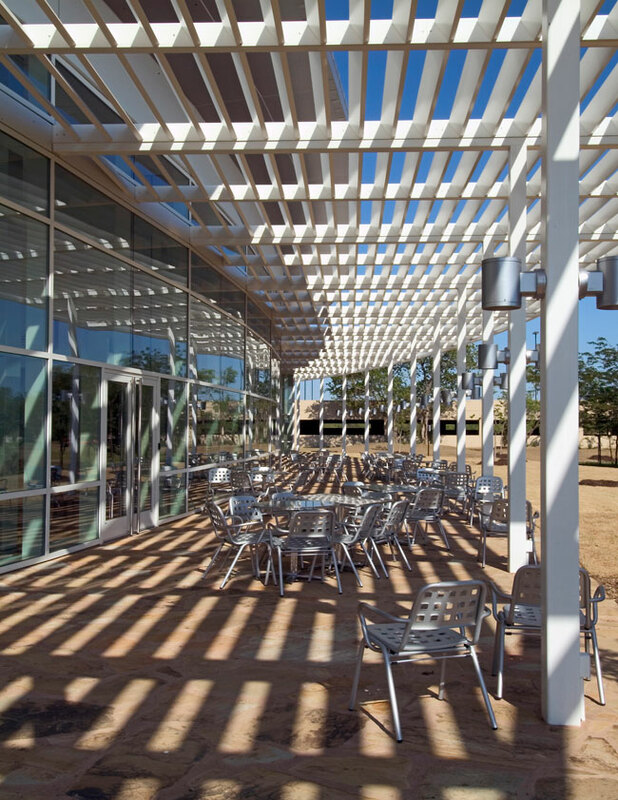 The Alucobond sunscreen louvers not only met a tight construction timeline but have blended well into the building’s design, according to Ryor. 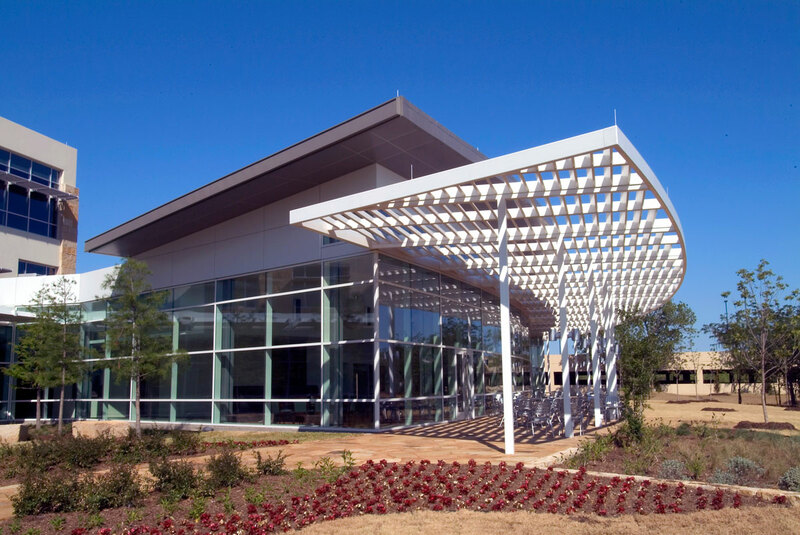 In addition to the sunscreen louvers, 4,000 square feet of 4 mm Alucobond was provided in the custom cool zinc gray color to match the building’s standing seam roof and installed as exterior trim at building soffits and around the sunscreen louvers.